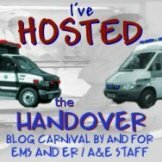 Since the post I put up the other day about the Camera man and EMT has started off a bit of a ‘legal’ discussion, I thought I would capitalise on the clever folks who read this blog to answer a hypothetical question for me (heres initially looking at you Star of Life Law and TOTWTYTR, but I would love to hear from anyone who has an opinion or any legal know how, especially any UK lawyers, so that we can have a UK law perspective too). Lets just imagine that 2 bloggers are about to cross the Atlantic ocean to go and work alongside each other for a week (Imagine that??). They are both really excited about it (like kids before Christmas), but at times one of them goes off and thinks about all the various possibilities that could happen whilst he is in the other ones country (Can you think of which one it may be??). He all of a sudden comes up with a scenario in which he knows what he would do, but doesnt know if it would get him in trouble or not, legally. So here is the scenario……. Initially, when ‘The Project’ was born, the plan was that when Happy Medic was over here in the UK and when I am over there in the US, we would be actually participating in clinical care (like a student working under a Mentor), that way we could really feel as though we were part of the system for a while. However, back in the real world, the powers that be ran as far away from that idea as possible and the expected instruction of ‘Observation only’ was passed down the chain. No big surprise there, and to be honest, it is what we had expected all along, and thats fine. But…. What if, for example, I am working along with Happy Medic on a shift, and we are sent to a major incident (or Mass casualty incident)? Highly unlikely I know, but possible. More likely however, would be a multi patient vehicle accident which is well within the realms of possibility. Now, I am there purely in an observation capacity, I must not touch a patient! I am already wary of the apparent litigious nature of the US health care system and its users, but could I stand by and not intervene clinically if there was a real need?. I will be standing there in my NHS uniform which states across my chest pocket that I am a paramedic, but I am not providing any assistance. It’s very easy to say what should be done, but it would be much harder to do that if the situation arose. As I said, I am pretty sure I know what I would do in that circumstance, as would be the same answer for virtually all paramedics out there. But its an interesting thought. Is there a precedent for this sort of thing, or is it the usual you make your choice and you take your chance? You’re there to observe but in exigent circumstances no-one would question your performing BLS skills to assist. This is common practice in the US for off-duty paramedics assisting if they’re in another jurisdiction or state. There would be a real problem if you used ALS skills though. I doubt there is a precedent for this type of thing but, as usual, “better to ask forgiveness than get permission”! I read this post with interest and it set me thinking. What would you do if you were on holiday and happened accross this situation? Would you automatically help, feeling a moral duty to lend a hand or would you walk on by? I know, that RRD would, and has, stopped and given assistance in just such a senario. Perhaps the odds are equal, whether the chances of being sued for not doing something in this situation or for doing something in this situation. Perhaps then all we have to concern ourselves with is our moral obligations and our duty to try to save lives in any situation. After all, are you ever “off duty”? Could you ask the other, unknown, paramedic to ask the legal department of his EMS company? Gee, you’re not the only one worried. Luckily, if a complete disaster occurs while you are here, certain protocols go into effect that allow me to “deputize” healthcare workers under my license to act as I instruct. Otherwise you can observe and assist, but perform no interventions. Should the you know what hit you know where you’ll know what to do. Would it not fall under the ‘good samaratin’ (??) law they have in the states? Although I have not had to employ this argument I think it would be the better position to argue that you did the right thing when it needed to be done instead of doing nothing because you feared litigation. If I understand Happy’s system correctly you will be going to scenes with a fire truck full of paramedics. Is that correct? Take your uniform shirt off and get to work as a good samaritan. If anyone asks, you were on the plane when it crashed on the island. The “Good Samaritan” defense protects off-duty healthcare providers who perform care “in good faith” to the best of their abilities without causing negligent harm. One wrinkle though… wearing “Paramedic” on your shirt may create a percieved legal standard of care that the patient may “reasonably” expect. You may want to wear a button on your shirt that said “HEY!! I’M AN OBSERVER! !” there, with the cape that you’re wearing on the NHS uniform. I have heard a rumour that there is UK case law that registered health care staff have a duty of care to other british citizens even when abroad. I believe that the case was to do with paramedics in the military. I’ve no reference to this, so not very helpful, I know. The standard position is, that in some States in the USA, there is the ‘Good Samaritand Defence’, which grew out of a reluctance of trained medical personnel to intervene in the event of an emergency. It is my understanding that there is some considerable difference how the test of the response is applied between States, and consequently the exact location of your secondment would help answer your ‘hypothetical’ dilemma. Alternatively, the observer engaged as a paramedic/observer in the UK would likewise have certain defenses limited like you to the degree of intervention. Should either of you implement ALS techniques which are invasive, you may be culpable for an action in tort. Essentially, you would need the potential parameters of your involvement set out in writing in accord with the acts and measures in force during your secondment. I’m sorry but ‘Shakespeares “kill all the lawyers” comes to mind. Can only really comment by saying my services policy on medical observers is that they can practice supervised up to their level of clinical experience. I think even in litigious Hamerica you would be expected to provide BLS and eca-like assistance. Any one who didn’t help out on a nasty one would probably look a bit of a tard! Generally you are probably OK, and I mean probably, as long as you stick to BLS level, non invasive procedures. It would be the same for me if I went out to Happy Medic’s system, even though I’m certified in my state. There is very little in the way of actual reciprocity from state to state, even for BLS people. As to Good Samaritan protection, again the law varies. In some states it only protects non professional rescuers who are not being paid for their services. It would seem to be a thorny situation in your case. You aren’t licensed or certified here, but you are there. You aren’t being paid specifically to come here (assuming you are using holiday time), but a lawyer could argue that you were acting in a professional capacity. All of which goes out the window if the fit hits the shan and it’s a MCI. In which case I’m sure someone will find something for you to do. I wouldn’t worry about it, just sit back and enjoy the ride. I think you’ll find the terminology is different, we drive on the wrong side of the road, and some of the gear is different. Other than that, you’re likely to be amazed at hos similar the work is in both systems. How would I survive in the UK!? This is going to keep me up all night.